How I finally gave in, after 18 years of salon coloring, and tried box hair color for the first time. While I’ve colored my hair since I was 16, it took me until my early 30’s to try boxed hair color. Wondering why I didn’t try it sooner? Well, it all started in Africa. No, wait. It all started as a teen model. You see, models usually get their hair colored for free. I know, it’s not fair. Like, at all. I’m not even sure why models get it for free, but I assume it’s because they can then say “I colored her hair before this shoot” and point to a photo in a magazine (although I’ve never actually witnessed such an exchange). But I digress. So there I am, a newly-scouted 16-year-old model, and my agent at Ford tells me (surprise, surprise) that I need to lighten my hair, like, pronto. 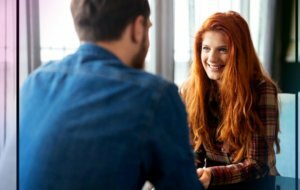 As a full-fledged hippie country girl in Canada, I really didn’t know much about makeup or hair coloring, and I basically believed anything that anyone told me. So when my new colorist – Fritz – at Vidal Sassoon told me that I should never use at-home color, and that I could never grow my baby-fine sparse hair long because it would just look oh-so flat, I took him at his word. So therein began my love-hate relationship with hair salons, and the time-consuming and expensive ritual that I endured every two or three months. The thing is, they never seemed to get it right. Even at the most posh salons, the color always seemed to fade or go brassy, and the highlights they gave me always seemed to look artificial; a dead-giveaway that my hair color wasn’t my own. And as a girl who’s always coveted the natural look above all others, I found this to be far from ideal. Fast-forward about 20 different salons in two countries, and fourteen years later, and I’m in Africa for my 30th birthday. I had just colored my hair a week or so prior, with the same highlights and low-lights that probably 90% of NYC-salon-blondes sport. Basically, the only blonde that the salons I’d been going to thought I’d look good in. Then something hairmazing (yeah, I just made that word up) happened. The red dirt in Africa actually dyed my hair red. I mean, the perfect golden strawberry blonde shade. And I really (I mean really) loved it. It was me! This was how I was supposed to look! I’m not exactly sure how it happened; my best guess is from the dirt in the air on dusty roads clinging to my porous hair. The color lasted a solid month, during which I took lots of photos to make sure my salon colorist knew what I wanted. Back in NYC, my colorist couldn’t seem to match the color. It somehow always seemed to come out looking, well, too blonde and too streaky. It just didn’t look natural. By this point, my roots were about four inches long, and very dark blonde, so I swallowed my fear and went to a drugstore. I picked out a box of at-home hair color and brought it home. I resisted gagging (it smelled awful!) as I tested it on a small section of my hair (to see how the color would turn out), and on my arm (to test for bad reactions). I left it on my roots for about 30 minutes, then put it on the whole length of that section of hair for 10 more minutes. Their hair dye ingredients are 98 % naturally based and contain natural oils and extracts that are certified organic by ECOCERT (which has stricter regulations than USDA organic). The dye also has the lowest level of PPD (a yucky chemical that’s –unfortunately– necessary to make the color stick long-term) on the international market (0.07 %) and all the colors are 100 % free of ammonia and parabens. NATURIGIN is the winner of the best natural beauty product by Natural Product Awards in the USA in 2014 and 2015. Their products are NOT tested on animals. As a vegan, only using products that are 100 % cruelty-free is super important to me! Their packaging is eco-friendly and made from recycled material. NATURIGIN is based in Denmark, and the motivation to start the company was Mette’s diagnosis with breast cancer. She wanted to make sure that other women had a healthier and cleaner choice of hair colors without dangerous and unhealthy ingredients. Having had cancer myself, I really appreciate this! I’d found a winner! 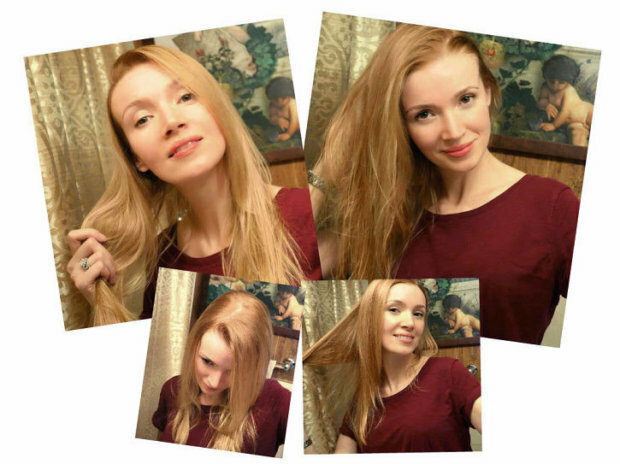 I immediately bought their golden blonde shade (it’s available on Vitaminshoppe and on Amazon) and tested it on a small section of my roots. It smelled very faintly like the pleasant natural fragrance my aunt wears, which I love. No chemical smells or stinging eyes. 20 minutes later, it’d done what it was supposed to do: lightened my roots. Halleluyah! So I put the NATURIGIN color all over my head and left it on for 20 minutes, then I added the rest to the length of my hair. I left it for 5 more minutes, then started washing it all off in the shower. Some people may love the salon experience, but personally, I plan on never setting foot in a salon again. I mean, why would I? Now that I know that box color won’t make my hair fall out or turn green (as Fritz would have wanted me to believe), I’ve saved myself what probably amounts to months of valuable time over my life. #DIY #Excited! 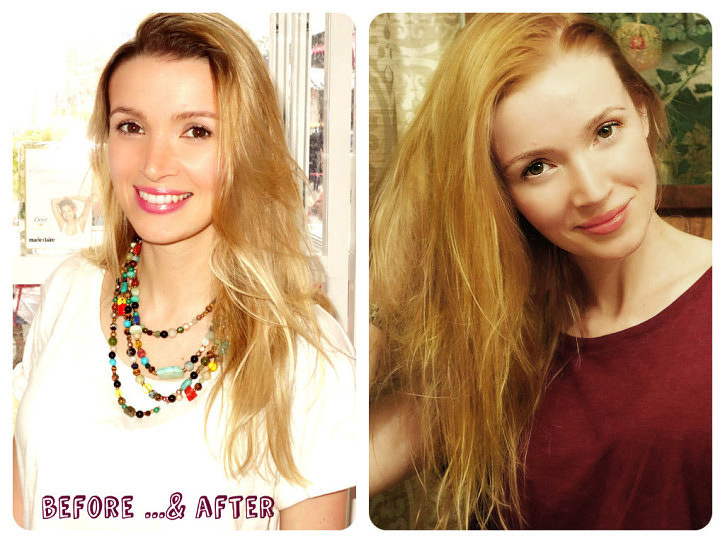 Do you have a picture of your natural hair color? I’m wondering if this will work for mine. I have a co-worker that dyes her hair frequently and after dyeing it, she gets really flaky scalp. I told her that she should switch brands because her scalp seems to be irritated. It actually looks really gross because chunks of skin are coming off her head. She has long hair and it doesn’t look nice and hygienic when she’s walking around with chunks of skin falling off her head. Not sure how she does it but she claims it was just because of the hair color she used. Damn, if I had that side effect I’d freak out and never use that product again. The reason why I prefer box dyes is that when my hair gets longer, my roots aren’t too even. It looks ombre. But whenever I go to salons, my roots grow too evenly and it really looks as if I need a retouch ASAP. I think my hair is hyper active and my roots show pretty fast. Not a fan of salon visits either because I feel like my money is worth something better than just a hair dye. I prefer having about 5 boxes of hair color at home and I can just retouch anytime. People who go to salons are too high maintenance. I’ve only stepped in a salon a couple of times in a year and it’s mainly for drastic measures. I just need a big mirror and my hair is dyed! My scalp is sensitive so Ireally just go for natural dyes. I was scared to try Naturigins at first but the first try went well. I don’t think I’m going to go back to the salon anytime soon unless it’s for a haircut. 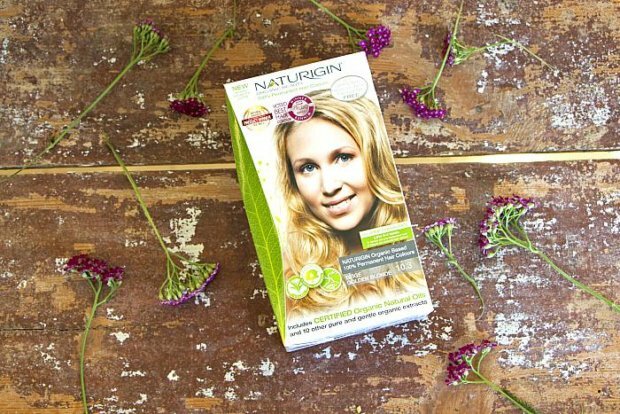 I’ve used Naturigin before and it was one of the best hair colors in a box. I also love that it doesn’t smell strongly of chemicals that sting my eyes and scalp. I’m rarely allergic to hair coloring but I’ve used brands that gave me a very sore scalp before and everytime I brush my hair, I feel like I bruised that part of my head! It was terrible. My hair is naturally dark so I find that natural coloring doesn’t stain my hair much since it doesn’t contain chemicals that bleach the hair easily. I’m trying to help my mom get a hair dye that’s good with dyeing gray hair. She’s always being told at salons to dye her hair darker so that it can easily cover the gray hairs but she doesn’t like dark hair. She feels that it doesn’t suit her. I’m going to ask her if she couldtry Naturigin instead.